We conduct both online and live workshops, retreats, lectures and facilitating group sessions and Shamanic Sacred Circles. Contact us for more info or to request a visit to your location in India or online. In many cases, we in the city a day before the workshop and are available for individual services. I would be interested to know the charges for sat. 21 and 22 sep in delhi…. The fee for the two day workshops is 12000 INR. hi!! by any chance would you’ll be planning to come to jaipur? and the session which is in mumbai on 30th ans 1st of dec would you be able to take an individual session on 2nd in mumbai itself. We have plans of doing a 3 day workshop (01 day intensive on core shamanism followed by 2 days of advanced course) in New Delhi some time soon (dec / jan). You can also decide to attend the one scheduled in Mumbai on 30/11 & 1st dec. For the healing session, physical presence is not required. You can write to us at shamanic-vision@live.com about your concerns / issues and we can do a exploratory / diagnostic journey for you seeking the solution from your guides. We are also planning a repeat 2 day course in Ahmedabad sometime mid next week. I would love to do the workshop in Delhi . I will love to attend the workshop in Delhi ! Keep posted! We’re putting together a special 3 day workshop for New Delhi in early 2014! Hi Paul, I’m interested in attending your two day workshop coming up in Mumbai. Do I have to register somewhere (or just turn up) and where exactly will it be held? Yes, you will certainly need to preregister-we’re just about full for this course. You may write us directly at: shamanic-vision@live.com and we’ll get the registration info right out to you. We will be gathering at a private residence (It’s a beautiful bungalow in Andheri West area of Mumbai, very close to the beach. It will be wonderful to have you join us! Lucky I asked then! I’ve sent you a mail. And, Andheri West is convenient for me too. Sounds great! Thanks. We will not be returning to New Delhi until 2015…. We will be in Mumbai on Jan 24th and will hold our final workshop of this tour in Ahmedabad on Feb. 7. Can you come out and join us? Paul, so glad you both are back. We did the foundation beginners class with you last August. Want to do the advanced class with u in mumbai in June. Is that the Phoenix class? Confused. Or living without regret? Wonderful to hear from you Rukhmini! The Advanced class is a different course. The Advanced course it titled: Healing the Shaman’s Soul and Heart. It requires students to have some Shamanic experience prior to attending. We will offer this course after we have held our Foundations Course in Mumbai. Exact date is not yet determined, however it would most likely take place between August-Sept. More to follow…. Our Becoming the Phoenix Workshop has no prerequisites and is a 3 day residential or non-residential retreat. This event focuses on Shadow work, Inner Child Work and then Becoming the Phoenix by metaphorically dying. This workshop will be offered first. Hi Rajiv, sorry for the delay; we’ve been on the road for the past 12 days :). 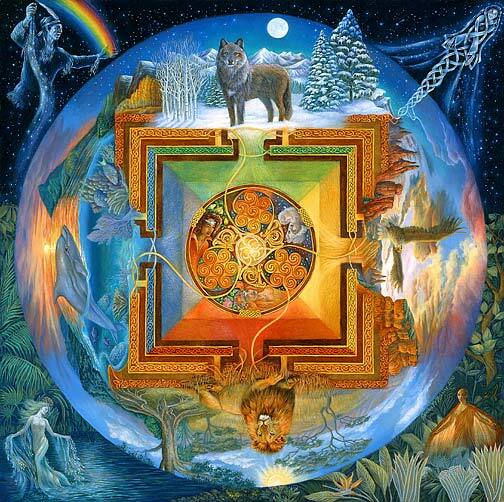 We will hold out Foundations of Shamanic Practices program in September. We will be offering both the Foundations Course in an intensive, one day format on Friday, Sept. 25 followed by our Advanced Course offered on Sat-Sun, September 26 & 27th. Do you have any plans to conduct any retreats or workshops in bangalore? I guess there would be a lot of people like me in Bangalore who would love to attend the sessions. Please do plan for Bangalore aswell. Sorry for the delay in responding..we’ve been on the road and returned to issues regarding our internet connection. As a matter of fact, we will be in Bangalore on Nov. 28-29th. We will be offering our Foundations of Shamanic Practices workshop. Neelam and I are mapping out our schedule and will have it published by next week. Thank you for the good news Paul. I’m looking forward for your workshop in Bangalore. But I need some additional info and help from you which I shall be addressing you from my personal email. Email received Kenny…will respond later today. Atma Namaste, Paul and Neelam. I am keen to learn Shamanic healing, I guess I would have to start with the foundation course, nevertheless I am interested in learning. I am from Goa and would like to know , when and where would you be having this first or (Basic) Foundation course and what are the fees. I’ll send you a private email with details. Would definately like to attend he workshop…I am very distressed & traumatised after the death of my teenaged daughter (18 years old)…would like to have peace and solace…. I also want to apologize for the late response…Ive been traveling and am currently in the USA for a short stay and have a moment (and computer access) to be able to write back to you). Two of our workshops would be very appropriate for you: Our Foundation of Shamanic Practices and also our Becoming the Phoenix workshop. Foundations will be offered in Mumbai on July 16-17th and Phoenix will be in New Delhi on July 29-31st, 2016. I will write to you in private. Thank you for asking Smitha! There is a ton of difference. I’ll send you a personal email in a moment. Hey… is the 2019 schedule out? Can’t seem to see it in the above list of events. We are currently in the USA and will create the schedule while we are here. I can tell you that we will conduct our Foundations of Shamanic Practice: Your Connection to Spirit in Mumbai on July 21-22, 2019. Is there a particular course that you are interested in?